Batch 0001. 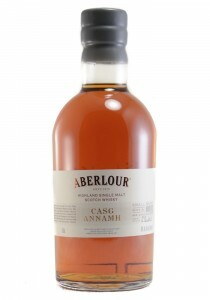 A new small-batch addition to the Aberlour line-up, Casg Annamh (Gaelic for ‘rare cask’) has been matured in European and American oak oloroso sherry casks. Rich, buttery caramel aromas, grilled pineapple, and ginger. The palate is smooth, and yields spicy vanilla, tangerines, and cloves. Lots of black pepper and licorice in the relatively long finish. Less complex than the distillery’s A’bunadh.